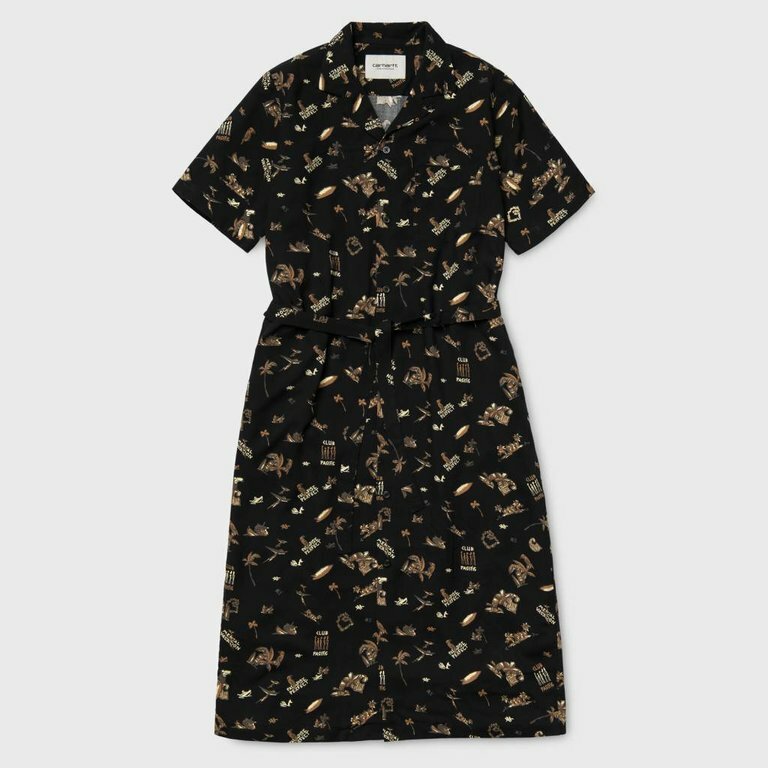 The Carhartt WIP Club Pacific Shirt Dress comes with an allover print, chest pocket and tie belt. Made from 100% Viscose Poplin. The Carhartt WIP Club Pacific Shirt Dress comes with an allover print, chest pocket and tie belt. Made from 100% Viscose Poplin. You can find the Carhartt Spring Summer 19 Women's collection in store and online.